This Christmas, I'm shopping local. 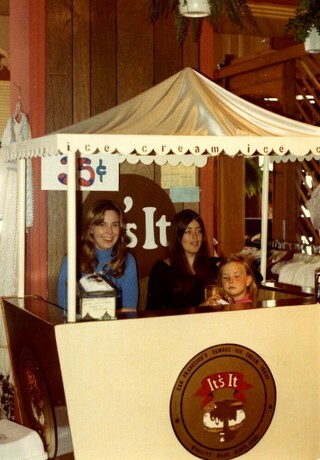 Too many of my favorite mom and pop shops have closed in recent years. So I'm doing what I can to help out some of my favorite family-owned small businesses, crafts people and artisans. Here's my list of Los Angeles and San Fernando Valley area businesses I highly recommend. Please feel free to add your own favorites to the comment section. Thanks! Big Kid Collectables - 14109 Burbanks Blvd., Sherman Oaks, CA 9140, 818-785-9208: Retro toys, games and more! Handmade Galleries LA - 14556 Ventura Blvd., Sherman Oaks, CA 91403, 818-382-3444: Eclectic treasures from over 100 artists and crafts people. Iguana Vintage Clothing - 14422 Ventura Blvd, Sherman Oaks, CA 91423 818-907-6716: Great collection of vintage clothing and accessories! All December, everything, except accessories, is 50% off. Pasadena, CA 91103, 626-792-5101. Over 50 of LA's best local food artisans. Sherman Oaks Antique Mall - 14034 Ventura Blvd Sherman Oaks, CA 91423, 818-906-0338: Have a friend who'd love a Beatles' lunch box or mid-century vase? You'll likely find them here! Galco's Old World Market's Soda Pop Stop - 5702 York Blvd, Los Angeles (Highland Park), CA 90042, 323-255-7115: Classic and eclectic soda heaven!! Galco's has a great collection of retro candies, too. Gift idea - make a basket of hard to find sodas and classic candy. 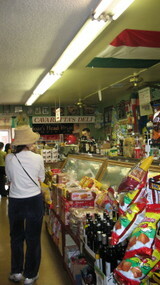 Franklin's Hardware - 21936 Ventura Blvd., Woodland Hills, CA 91364, 818-347-6800: Family owned business since 1952. Have a handy friend? Franklin's will not only offer you great service, but'll be sure to have something from gardening, to grilling to automotive tools. Artists, Marvin Kanarek and Mike "Tempo" Temple - Contact Marvin Kanarek here and Mike "Tempo" Temple here. What better gift to give an art-lover than an original artwork right from the artist? Vidiots - 302 Pico Blvd., Santa Monica, CA 90405, 310-392-8508: Patty Polinger and Cathy Tauber, indie movie lovers, have owned and run this store since 1985. Need a gift for a movie lover? Vidiots has a great collection of rare films; foreign and independent films are their specialty. I wrote about the store, here. Junk for Joy - 3314 W. Magnolia Blvd., Burbank, CA 91505, 818-569-4903: For your vintage clothing-loving friends with "good and bad taste." Follow Your Heart - 21825 Sherman Way, Canoga Park, CA 91303, 818-348-3240: Started by four friends in 1976, this is just the place to buy a gift for health food and/or vegan friends. They also have a seciton of whimsical and unique gifts. 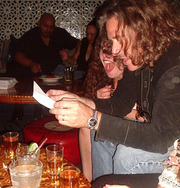 Gift ideas - gift certificate to the restaurant (I love their nut burgers!) or a basket of delicious and healthy foods or organic lotions and cosmetics. Los Angeles Conservancy - Would like to buy a gift for someone who appreciates history and/or architecure? Buy them one of Los Angeles Conservancy's incredibly informative and enjoyable walking tours. You can purchase tickets right online. Or how about buying them a membership to the conservancy? You'd give a great gift and help preserve the best of LA. Polka Polish Restaurant - 4112 Verdugo Rd, Los Angeles, CA 90065, 323-255-7887: Owned and run by Polish immigrant husband and wife. Need to find a gift for someone who loves homemade Polish food - or just good homestyle cooking - but they have no idea where to find it in LA? Take them here! Silverlake Conservatory of Music - 3920 Sunset Blvd., Silverlake, CA 90029, 323-665-3176: Founded by Flea of the Red Hot Chili Peppers - this is not only a wonderful music school, but provides music lessons for under priviledged kids. Tired of buying your child video games? Why not give a life long gift? Music lessons! And you'll be helping a great cause. Dragonfly Stained Glass - 7134 Owensmouth Ave, Canoga Park, CA 91303, 818-340-0245: Larry Joers has run Dragonfly since 1976. How about creating a one of a kind stained-glass gift for that hard-to-buy-for friend or loved-one? Red Barn Feed and Saddlery - 18601 Oxnard Street, Tarzana 91356, 818-345-2510: Family run for over 50 years! Need a great gift for a four-legged or feathered friend, come to Red Barn. ITS Net Services - Need a gift for someone who needs a new website? Contact my stepson Adam at his website. Apex Electronics -8909 San Fernando Rd, Sun Valley, CA 91352, 818-767-7202: So you have an electronic geek to buy for and you're puzzled what to get them? Well, even movie studios raid Apex's wacky rows of robots, rockets, wires and knobs to find cool stuff - I'm sure you can find something unique here. Visit LA Farmer's Market - weaving through the aroma-filled aisles of restaurants, gourmet shops and produce stands - you're bound to find a wonderful gift here. Then there are all the great boutiques throughout LA, from great little shops in the Sunset Junction area of Silver Lake, to the eclectic stores all along Main Street in Santa Monica, to the vintage and hobby shops on Magnolia in Burbank, to Canoga Park's Antique Row on Sherman Way, between Topanga and Canoga... So much more fun to explore the all-the-same mall stores. Merry Christmas... happy holidays! I'd love to hear about your favorite "mom and pop" shops and artisans. *Big thanks to Lisa Ann Walter for giving me the idea to make a list of my favorite small businesses and artists, while she discussed shopping local on her radio show. Here's a slideshow of some of my favorite LA shops, etc., including LA's Farmer's Market and Downtown Central market. Farmers Market celebrates their 75th anniversary (opened since 1934), July 13-19. See the details and events here at their site. This has always been one of my favorite places in LA, somewhere to grab a bite, shop and people watch. And, unlike its neighbor The Grove, Farmers Market wasn't just manufactured recently to look like it came from another era. Farmers Market is the real thing, a rare LA survivor (unlike the Ambassador Hotel or Schwabs, places now gone) from another time - when Marilyn Monroe was just an LA kid with a dream, when the Ambassador Hotel was still swinging, before James Dean ever filmed Rebel Without a Cause at the Griffith Park Observatory. And not only has Farmers Market survived, but it's aged gracefully... without lots of "plastic surgery". It's a real community, where Angelenos come sit and talk, sip a glass of wine at the French Cafe, shop at the gourmet market, or the butcher, or grab a cone at Bennett's Ice Cream. My favorite new food stand there is a Brazilian place, Pampas Grill, that charges based on the price of your plate. The grilled meats are a little spicy, really juicy and come with a huge assortment (all buffet-style) of side orders: plantain, cheese rolls, salads, black beans and more. But then, any place at Farmers Market is worth the visit. Don't go to Miceli's on Las Palmas! *This is old, I just edited it and now it popped up to the top of my posts, so maybe Miceli's has improved since this experience. I wanted my daughter's birthday dinner to be special. Her only request? To go out to an Italian dinner in Hollywood. She's a Valley kid who likes to escape whenever she can. And she also happens to love the sort of Italian food that's covered in red sauce and mozzarella. So I Googled Chowhound messageboards for an old style Italian place. I wanted the sort of restaurant that would make my daughter feel special, some place festive. That's why I chose Miceli's. Actually, someone on Chowhound recommended it, and they threw in that the Beatles once ate there. Well, I looooove the Beatles! But they were skinny Liverpool lads too involved with their incredible music to know bangers from Bruschetta, so I should have known better. The problems were... Uh, where do I begin? The food. The food...how shall I put this? Okay. Two words: Canned mushrooms. 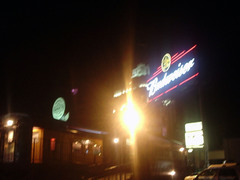 Yes, this is an old Hollywood establishment; it's been around since 1949, and back then canned food was all the rage. My gawd! People were excited about Spam back in '49. But it's 2006, people! Canned mushrooms on chicken marsala? That's not acceptable. Sorry. Horrified by the shiny canned mushrooms, my daughter put the marsala aside and ordered a cheese pizza. When it came, it was swimming under an ooze of greasy cheese. My husband said the side dish of pasta in tomato sauce he was given was not even edible. He also ordered the Marsala and - once he scraped off the mushrooms - managed to eat some of it. But before we ever tasted the practically-inedible main course, there was the appetizer combo: A platter of supposedly different items: calamari, zucchini, mozzarella sticks. But they all tasted the same, like old fried batter. The only way I knew the difference was the texture. The calamari was chewy. The zucchini was mushy. Honestly, if the other parts of the experience were good enough to compensate for the food, I wouldn't be complaining. But no! The service was also a disaster. I had to wait five minutes at the bar (before we were seated) to order drinks. No one else was ordering drinks. The bartender just felt like walking away and leaving me there. And when he came back to take my drink order... well, I think he was some sort of soul-sucking zombie. First, he just stood in front of me without talking. Scary! "Can I help you?" would have been nice. Then the sad eyes in his somber face passed my gaze and I felt all the joy I've ever felt in my life leave. He was like a vacuum of doom. I shuttered and gave him my order, "Whiskey sour, one coke, two Shirley Temples." He didn't smile. He didn't nod his head or say "Alrighty then" or "I'll be right back with your order." No jaunty little tap on the counter. Nothing! He just sort of slunked away and left me with a chill crawling over my skin. And his soul sucking was only magnified by the creepy 1920's era music from the sad, hunched over woman playing on the piano. I guess when I mentioned on Chowhound I wanted atmosphere, I should've been specific: A fun, festive atmosphere; not "Night of the Living Dead" goes Italian. I felt like I was in the Twilight Zone. And then there was our waiter. I thought he knew it was my daughter's birthday. They did ask when I made the reservation. Silly me, I thought they asked that for a reason. But then maybe they ask, "Will this be for a birthday?" like AT&T asks me to input every personal identification code I have into the automated system only to get a human on the line who then asks for all the numbers again. Argh! "I just spent fifteen minutes pushing these numbers on my phone key pad!" I tell them, and all they can say is "sorry." My life is being piddled away by people who ask questions and don't care about the answer. Just like at Miceli's tonight. Why did they ask if no one cared anyway? Once our joyless wonder of a waiter, who I will refer to as "Lurch," came to our table, all thoughts of a festive occasion left for good. We'd be on our own, chatting and laughing...which we could have done at home around a table of good food. While the bartender zapped my joy, the waiter seemed to usurp my energy, leaving me zero energy to tell him it was my daughter's birthday. Plus, I had an absurd image in my head of the completely bored man singing Happy Birthday in monotone. Anyway, I didn't want anyone to sing Happy Birthday. That would've embarrassed her. I just wanted her to feel special. "Hey! It's your birthday today? Well, then I'll take your order first." Anything. Something. But the waiter never smiled. He brought her canned mushroom covered Chicken marsala last, which was actually to her benefit. When we dropped my daughter's friend off at her house, I said, "See you later! Just let us know the next time you want to go out of your way for some less than average Italian Food." She laughed. I laughed. We all laughed. So I guess we have that. Zivjo! What in the World are You Eating? Hello, World!! To my visitors from Slovenia I say, "Zivjo! Dober Dan!" To my visitors from Indonesia I say, "Selamat Pagi!" To my Swedish visitors I give you a big "God dag!" And "Hello!" Arlington, Virginia. About a day ago, I put this new Feedjit map web-counter on my site. It tracks where people who come to my site are located around the world. I find it fascinating! The first thing I think is, "Wow, someone in Sao Paulo, Brazil has found me!" The next thing I think, because my mind always goes to food, is "Hmmm, I wonder what they had for dinner on their side of the world?" So please tell me, What's one of your favorite foods or meals? Ever since I traveled as a child, and took a bite of Paella made over a fire-pit in the hills above Estepona, Spain, I've been fascinated by how people eat in other countries. I even think I had a children's cookbook with recipes from around the world. So here's what I've been eating in California every single day: Avocados. They're soooo good, I top my eggs with avocado and salsa. I put avocado in my turkey on wheat sandwiches with sprouts and tomatoes. I slice them open and pour salsa or hot sauce inside and eat the dreamy-green creaminess in scoops with a spoon. I must eat two whole avocados a day, at least. 1 or 2 serrano chiles, (cooked under broiler or on a grill until skin is blackened, remove charred skin). Then dice. Slice open avocados. Remove pit and scoop insides into a bowl. Mix together all ingredients above and add in fresh lime and salt to taste. Mash with back of fork until chunky, not too blended. Then dip, pour, slather, lick...douse yourself in the stuff! So what about you? What are your favorite foods in your part of the world? Thanks to Yelp's recommendations, I found out about Cafe Carolina in Encino. Because the reviews were so good, I took a risk and invited friends to join my husband and me last night. (*You can skip this tangent & go on to Cafe Carolina's review if you like) I always get a little nervous asking people to join me for dinner at a place I've yet to try. We did that once before and the evening was a complete embarrassment - so bad, I felt like I needed to pay my friends back for the evening. Basically, I had the wacky idea to meet at a fondue place in the valley. Who knew some cubes of bread, slices of meat and veggies dipped in cheese could rack up to a couple hundred dollars? Not me! But, worse than the huge price, was that my friend almost electrocuted himself with the electric fondue pot's frazzled wire. Oops! Cafe Carolina was - thank goodness (as I mop my brow in relief) - as good as the reviews said. It's a cozy little place (nine tables, I believe) run by Chef Giuseppe Dossi, who even answers the phone himself with his friendly Italian accented voice. First came the salads. My husband and I shared the wonderful spinach salad (Organic baby spinach tossed with red onions, walnuts, mushrooms, warm shallot- mustard vinaigrette and topped with salted ricotta). It was perfect, gently dressed in the warm vinaigrette. It's the sort of salad I aspire to make, but rarely do. Next, came our butternut squash soup with marsala and mushroom. While the texture was smooth and creamy, I found it bland in spice and a little sweet. But this was the only dish that didn't blow me away. I heard the gnocchi with Gorgonzola was really good, so I ordered that. Two of my friends, lovers of good gnocchi, ordered the gnocchi in pesto. My husband ordered steak with Dijon sauce and another couple ordered Penne in a tomato sauce. Next, came my gnocchi in Gorgonzola sauce - light, potato dumplings in a seductively silky, rich buttery cream sauce with perfectly flavored (not too pungent) gorgonzola. Ahhhh...the dish looked like pearls immersed in a bed of white silk and tasted... well, this is what I said after my first bite, as two of my gnocchi loving friends and my husband dipped their forks into my dish, "I can imagine growing up as an Italian child and craving this dish as my ultimate comfort food." It made the most creamy mom-made mac and cheese seem about as comforting as a plate of jiggly, cold cube of tofu in comparison. This gnocchi is true comfort food. Marv and Lisa's eyes rolled back in ecstasy as they each enjoyed my gnocchi... and they know good gnocchi. My husband, while finding his steak quite tasty, said he'd definitely order the gnocchi next time. Everyone cleaned their plates. Nothing was left over. Apparently, everyone was very happy with their dishes. By this time the little place was filled, and my table was getting a little rowdy (we were on a gnocchi high, I guess). Lisa, so satisfied with her gnocchi in pesto and house salad, stood up and said, "I'm going to go hug Chef Giussepe!" We all watched her march off into the kitchen. Lisa came back smiling. "What a great guy! I love this place!!" I told everyone I heard their tiramisu (Ladyfingers, mascarpone and espresso in a delicious layered cake) is really good. So we ordered that and coffees. As the waitress (and she was great, by the way - even after we wore her out) was about to walk away to get our dessert and coffee, I said, "Wait!! I heard the Chef makes a killer cup of hot chocolate." "Oh, well, I have to ask him. He only does it at his discretion." And then she came out with my big, cup of fluffy whipped cream on top of the richest, most incredible European style hot chocolate I'd ever had. Lisa and Marv kept dipping their spoons into it. Lisa finally stole my cup away from me (nah! I gave it to her) . It's sweet, creamy-ness reminded me, somewhat, of the Cafe con Leche I used to have in Spain - something a European mother would make over the stove. The tiramisu was a great way to finish the meal - one of the best I've had in awhile. After all the soups, salads, entrees, coffees, hot chocolate and desserts each of our meals averaged under $50 per couple. What a deal! Delighted with our meal, our entire group got up and walked to the kitchen to thank the Chef for the wonderful evening. *Oh, one more thing - they do not serve alcohol, but charge a $2 corkage fee if you would like to bring a bottle of wine. While out in Pasadena, my husband and I drove down this lovely, shady, tree-lined street, appropriately called Green Street. It was lunch time and we were starving. 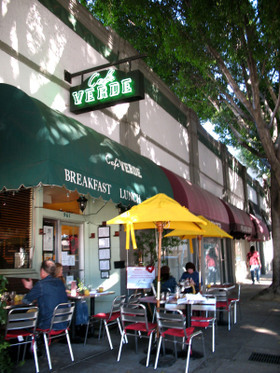 And there it was, Cafe Verde, a little cafe right from the set of small town USA - outdoor tables under an awning. On that first trip, I had their huevos rancheros - perfectly yokey eggs (not under or over done, but just right), on a crisp and not-at-all greasy corn tortilla, covered in a stewed sauce of tomatoes and red pepper. And it was all topped off with melted jack and cheddar cheese and avocado slices. My husband gave me only one bite (all he was willing to give up) of his eggs Benedict. He's not a good sharer! But the pathetic smidgen he gave me tasted fresh and just made; nothing like the many gelatinous and obviously packaged Hollandaise sauces I've tasted in other restaurants. My meal was so good that if I weren't in public I would've run my finger over my plate to get every drop of the Ranchero sauce. But the cheesecake!!! It's one cool, lightly sweet layer of sour cream atop another layer of airy-light, perfectly sweet cream cheese. And these lovely layers sit on top of the most delicious crumbly, moist and slightly cinnamony graham cracker crust. So good that I will gladly sit through traffic to get more. And since our meal was so good the first time, we went back. This time we shared a delicious rib-eye steak sandwich with gorgonzola sauce, sauteed mushrooms, red onion, tomato and lettuce. The meat was extremely tender, though the sauce (which complemented the steak's flavor) made the bread a tad mushy. Still, it was extremely tasty. And the sandwich came with the best tasting potato chips I've ever had. Made there, the slivers of golden potatoes arrived warm. They were so thin and crisp they almost melted in my mouth and tasted - unlike many potato chips - of fresh potato rather than oil. Of course, after that we had to share a slice of cheesecake. So fresh and creamy. Oh, and did I mention Cafe Verde is incredibly, unbelievably small? It is. Actually, it's so small even if you're seated as far back near the kitchen as possible, you can hear what the people with the window sidewalk-view have to say. It's so small, I had to breathe in and scoot my chair every time the waiter had to get by me. I'm serious! Okay, so you get that this is a tiny place, right? But Cafe Verde is huuuuuggggge in flavor! Sift flour, soda, salt and spices together 3 times. Cream shortening with sugar until fluffy. Add eggs and beat thoroughly. Add sifted dry ingredients and applesauce alternately in small amounts, beating well after each addition. Mix cream cheese and butter until creamy. Mix in vanilla and then slowly add sugar. Our friends Jenny and Fred invited us over for Thanksgiving dinner. Jenny called me about three weeks before to ask if we could come. "Yes," I said. "But can I..." I paused. "Can I cook some things?" She laughed. "You're asking me if you can cook?" "I know it's weird. I'm one of those fiends that spends days in the kitchen. But I get all zenned (is that a word) out... you know, the house smells good, the radio's on and I'm in my zone. Thanksgiving's probably my favorite holiday." So I begged Jenny if I could just make some specific things: Apple-sausage stuffing, orange-cognac cranberries and Madeira-shallot gravy that my mom and I have been making since we found the recipes in a 1982 Bon Appetit Magazine. All the recipes are so good my mom has been making them in the town of Roanne in France. I know, Thanksgiving in France?! And with people from all over the world no less. But they all love it. Then I asked Jenny if I could make a dessert. "Maybe a carrot cake?" She laughed again, as if she were Tom Sawyer tricking me into white-washing her picket fence. "Sure, carrot cake would be great." But I love to cook. I'm nuts that way... and in many other ways too, but this is how I'm nutty about cooking. Just before Thanksgiving, my mom called from France to say that she would be unreachable due to heading from Paris to Roanne to cook her Thanksgiving feast in the little French town. "I just made Grandma's Applesauce-Spice cake... you have to make it! It's so good," she said to me. I remembered it, of course. Grandma would often make it for special occasions. "I don't know. I kind of had my heart set on carrot cake." So when I sat down to make my shopping list and to find my carrot cake recipe, what recipe should I find in my messy book of special recipes? My Grandma's Applesauce-Spice cake AND the cream cheese frosting recipe that goes with it, right there in front of my stacks of recipes. Naturally, I had to make it. I think I even bit my lip at the thought of making a cake from scratch. As bullheaded as I am about taking the long way with everything else, I always resort to box cake mixes due to my few scratch recipe cakes turning out like tasteless boulders. I wrote down the ingredients to Grandma's recipe - Raisins? Eh, I'm not crazy about them. But I'll get them for Grandma. Nuts? They're good, but in cake? Oh well, I'll get them. I need a sifter? I sift like I iron - never. Alright! I'll buy a sifter. After an entire afternoon cutting french bread cubes, dicing apples and marinating sausage in cognac, sage and nutmeg... and everything else, I was tired. Still, I had to make the cake (which I made into cupcakes). So I sifted the flour before measuring, to get the flour airy. Next, I sifted the flour once, twice and (Ow!! My hand's cramping!) three times to mix in the cloves, allspice, cinnamon and other spices. But I almost cheated. I almost just dumped it all into the bowl. Who would know? No wonder I use box cake mix! I thought, as I was worn out and covered in flour. I took the cupcakes out when browned, cooled and iced them. Then my husband and I each tested one out - and, man!! They were the most airy, moist and perfectly flavored cakes I've ever made. Her whole life, my grandma never once lectured. She simply did. She only spoke kindly about others (Yeesh, if I could only say the same! 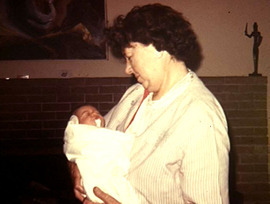 ); she was patient; she was generous - from helping to raise her younger siblings after her father died to helping care for one of her sister's children to volunteer work with the handipcapped and letting my sister and me stay over many, many weekends - yet she never complained (not that I heard, anyway). In that way, her life was a lesson for me (not that I come even close to living up to any of that) - But I aspire to. So following this recipe to Grandma's Applesauce-Spice Cake was another lesson (or reminder): That putting time and effort into things is always worth it. Even if the cakes had burned, I would have known at least I tried my best. But if I would have sifted any less than recipe called for, left out the raisins or the nuts, I would have never known just how good they could be. And thanks Fred and Jenny for inviting us over! 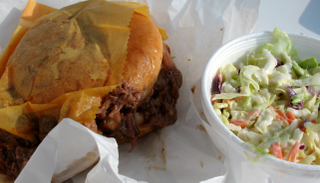 For years I've driven by Pecos Bill's BBQ, a funky little shack like place. I'd see people lined up and seated at the outdoor tables. I'd smell the smoky aroma as I hustled off to other places. And every time I either said out loud or thought, "I wanna try that place some time." So today was that day. The fragrant, woody smell of meat taunted me as my husband and I stood in line. Never good with too many items to choose from, I was happy to see the small menu: Sandwiches of Okie beef, Okie pork, Okie Turkey and Okie Ham (all shredded in barbecue sauce). 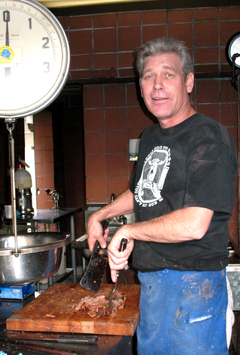 And on Saturdays and Sundays, they also sell pork spareribs. They sell other meats by the pound, unless they've already run out. The menu also includes coleslaw and pit baked beans. Pecos Bill's use a brick BBQ pit, and apparently the fragrant smoke I smelled is from the lemon and orange woods they use to barbecue. The lady in front of us said she always gets the beef sandwiches, and told us her husband, who is 61-years-old, has eaten at Pecos Bill's since he was eight. So I figured she ought to know. We ordered two beef sandwiches, two fresh squeezed lemonades and a coleslaw. Very tasty. The buns are light and fluffy. The plentiful sauce (I'm talking messy) isn't overpowering. It's slightly sweet and smoky. And since the meat is shredded, they were surprisingly un-heavy. I felt satisfied, but not like I'd eaten a huge hunk of meat. The slaw was fresh and had a nice sweet and sour bite. And the lemonade was as refreshing as fresh squeezed should be. 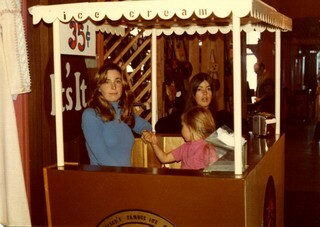 The little shack has been opened since 1946. The same family (the original owner's grandson) still runs the place today. It's a shame they've been opened for decades and I'm just finding out about them now. Looks like I'm going to have to stop by more often to make up for lost time. Oh, and they're open every day 11am to 3pm or 'til the meat runs out. There's a part in Nicholas Cage's movie "Matchstick Men" where his character dashes into a pharmacy to shake down the pharmacist for his prescription. That scene was filmed at the De Soto Pharmacy - right here in the San Fernando Valley's Canoga Park, 20914 Roscoe Blvd (Corner of De Soto and Roscoe). Though the pharmacy's been here for forty years, the ice cream-soda fountain was just added some time in the last decade. They not only have ice cream, but there are sandwiches, salads, coffee frappes, ice cream sodas, banana splits, New York egg creams and more. De Soto Pharmacy serves Lappert's ice cream, which is exceptionally creamy and rich. I got one huge scoop of Kauai pie -a mocha, fudgey, mix with coconut and nuts - in a waffle cone, and couldn't eat the whole thing, as decadently dreamy as it was. *Sorry, due to some weird re-formatting that somehow happened, the punctuation went kablooey. When I get a chance I'll fix it. Until then, please realize I do know how to use a question mark. I don't claim to be a gastronomic "expert." I just love really good food. Do you love good cannoli?� Try Cavaretta's - opened since 1959.� I love this place.� Every time I go to Cavaretta's I take a number, wait and chat with the other hungry customers.� It's crowded, noisy and full of lots of Italian specialty foods.� They have fresh bread, good Italian sausage, exceptionally good mozarella and feta...all kinds of edible treats, including that cannoli I mentioned. � The Italian sub is my favorite sandwich here; it's got that real deli taste that a chain like Subway can't ever duplicate.� Hey, I even picked up a hand operated pasta maker here for a friend's wedding gift.� You can park on Sherman Way, but I always like parking in the back...something about coming through the backdoor adds to my Cavaretta's experience. Edible (and extremely delicious!) works of art.� Their pastries are as colorful and as esthetically pleasing as tiny masterpieces. My daughter and I, while walking Antique Row and perusing vintage shops, ducked into Pastries by Edie.� We tried some of their decadently silky and luscious gelatos.� My two favorite flavors were the latte menta (a creamy mint) and mango.� And then, overwhelmed by the pastry choices, I went for three mini cheesecakes with glazed strawberries.� Yum!� I hadn't seen pastries that beautiful since my last trip to Paris...oh, and they were rich, sweet and creamy as good cheesecake should be. And then, as I held my delicate little cakes in a plastic box while scanning the racks at Out of the Closet, an employee, upon seeing my box of treats, said, "I know those!� Aren't their pastries amazing?" He then said his favorite are the fruit tarts in chocolate lined cups...I'll have to remember that. The store's filled with health foods, healthy cookbooks, natural cosmetics and scents, incense and hand-made gifts.� It's located in an area of Canoga Park known as antique row, for the plethora of antique, vintage and collectible stores near-by. Le Bon Bread is a quaint French-style bakery.� When you park in the back, you're likely to glimpse and smell the bread being made as you walk toward the front.� They make quiches, brioches, croissants, tarts, eclairs, sandwiches on their freshly baked bread, and more - including coffees: capuccino, espresso and latte.� There are tables inside and out. The next time I have a friend visit from out of town I may have to take them to Cheebo for lunch. Why? Because it’s sooooo LA! Remember Annie Hall’s last scene at the Source on Sunset Boulevard? Cheebo is more LA than that. With its organic menu, art-covered tangerine walls and rock star and movie-type clientele, Woody Allen couldn't create a better only-in-Hollywood scene. Though the sky was blackish-gray and drizzling, the moment my daughter and I entered Cheebo, sun seemed to pour through the mosaic of colored glass panes and land right on Slash from Guns 'n Roses. Even though the small room was packed and servers swooshed by carrying towers of pita bread on hummus, Slash – with his full black curls and pierced nose - was hard not to notice. After being seated next to a group of guys, we discovered the crayons placed on our table and began coloring away on the white paper-topped table. My daughter worked on her hot pink heart, while I scribbled some Psychedelic amoeba-like orbs. The guys next to us - some independent film people, I’m guessing from what they were talking about - pointed out their own tablecloth art: One blood covered dagger and some boobies. “Well, that about sums up guys, right there,” I said, glad they laughed instead of being offended. Our lentil soup and Mediterranean plate arrived. Everything was fresh and tasty. As we ate, Slash walked by, dressed in black jeans and black T-shirt. My eyes locked on his muscular, tattooed bicep… Oops, I was staring. But it’s a small place and I was facing that way… Oh, come on! To not stare at Slash when he was only two feet in front of my face would just be lame. I stared. I ate. I colored. I liked Cheebo. It's delicous and really fresh sushi served in a friendly atmosphere (the room's lack of atmosphere is greatly warmed by the people).� The chefs are very friendly and approachable.� And the people who eat there� - regulars for years - all seem to be part of the Sushi Tsune family.� Ever since friends brought my husband and me here a few years ago, it's the only sushi place we go to lately.� Without our friends divulging their secret, we probably never would've discovered it, since it's hidden in a mall - just east of Reseda Bl.� Everything I've tried there is tasty.� I always like the rainbow roll (cut) and for a great flavor and texture sensation we like the crunchy roll (cut).� They always have interesting specials on the chalk board.� But whatever we get, we never fail to finish the meal with a serving of the fried tempura green tea ice cream. Angelini Osteria's food is incredible.� My shrimp salad was so amazing it had me thinking I never really had shrimp before.� My husband's grilled bistecca alla Fiorentina was the best damn tasting T-bone steak I've had in a long, long time.� The seafood risotto was a blend of creamy, spicey risotto filled with fresh sea food.� And, oooohhhh, the tiramisu was a wonderful way to end the meal. This place is a splurge for us...but worth every dollar. When I cut into my medium-well prime rib, as thick as it was, it seemed to melt.� And once it touched my tongue, it did.� The meat was so tender and juicy it really seemed to melt in my mouth.� And the flavor was superb.� While it came with three different sauces, I preferred to eat it just as it came.� Oh, and the garlic mashed potatoes were really tasty too.� My husband was just as impressed with his rib eye, which he somehow managed to make disappear, leaving only the bone. I, on the other hand, had to drag away my huge portion of left over prime rib.� Seriously, the bag felt like it weighed five pounds. Anyway, I have to say it was the most amazing prime rib I've ever tasted.� Oh, and if you still have room order a Grande Marnier souffle....mmmmm, heavenly. Great service!� Enrique the waiter is fantastic!! Plus, great atmosphere and great food...a great experience. Good tasting, body-warming chili.� Click here for all sorts of info, photos and history. A meal at Cafe Bizou feels, to me, like a quick trip to Europe - from the cottage atmosphere to the food.� Everything I've eaten there, from the salads to dessert, has been very good. An eclectic Moroccan inspired cafe/boutique with the most delicious pastries (the tarts are amazing! ), coffees, teas, French and Northern African treats behind the glass counter.� I use to go here when my daughter went to the Conservatory of Music , down the street.� I'd have a tart and Moroccan Spearmint tea for breakfast...what a way to start the day. Who knew eating waffles could be a romantic experience, but since J. Michael asked my husband if he had any song requests, my husband suggested "Michelle" by the Beatles - which is my name; so there I was eating the most airy and delicious Belgian waffle, which I smothered in fresh apricot preserves and maple syrup, while being sung to...with the nearby fountain trickling in the background.� Ahhh...heaven. And all the other food, besides waffles, looked amazing, too. A cool little bistro just down the street from the ArcLight theater.� Hungry before a film, my family and I stopped in here, and were nicely surprised with the bistro type fare. Many in L.A. have tasted Roscoe's amazing Carol C special (juicy inside, crisp outside, perfectly spiced fried chicken on a fluffy, butter and syrup drenched, golden waffle) by now, but this place is a personal favorite of mine. Shortly after the wrap party, King asked Bo Diddley to play on a song King wrote called "Say Bo. "� While King and Bo played and my husband produced, Herb Hudson, on a few occassions, brought over some steaming hot Carol C specials to the Culver City studio himself -� in honor of Bo, I imagine. Mr. Hudson now has other locations in the L.A. area: Pasadena, Downtown L.A.. and Long Beach.� I've only been to the one in Hollywood.� Be prepared to wait out on the sidewalk a while.� There are way more people who want to eat there than there are tables.� It's worth the wait. Roscoe's...good enough to sing about! A cozy little English pub right in Woodland Hills.� A toasty fire place, a dart board, frothy mugs of beer, fish and chips and other English fare - how can you go wrong?� I've only been there once, but we had such a good time and I enjoyed this place so much I thought it should be mentioned.� For more info, check out L.A. Daily News' article.� And they have entertainment there as well. It's a divey little Vietnamese restaurant in a crappy area...but the soup is yummy.� A Vietnamese friend introduced me to this place.� I always get (I don't know the name) this noodle soup with crab, shrimp, cilantro, jalapenos (I think) and topped with lime and Vietnamese hot sauce...it's not only tasty, but just the right thing for a very bad head cold.� The last time I had a miserable cold, my husband picked some soup up for me - and my head cleared right up. Check out the Los Toros website. Don't let the name deceive you, there's more than just pizza served here. The owner was once a chef at Spago.� The food (pizza, pasta, chicken and fish) is really good, yet unbelievably inexpensive. The dish I always get is the salmon with ginger-lime sauce, topped with golden, fried onion slivers and served with crisp, yet tender veggies, while my husband likes the chicken picatta.� All meals are served with their delicious garlic rolls.� For dessert, the key lime pie is a tart, yet sweet, dream in a buttery-crumb crust.� Slurp! !� and the creme brulee's lovely; rich yet light.� If that's possible. My favorite dish here is the navrattan korma (a mix of vegetables in creamy, mildly spicy sauce) - this is probably the one item I would choose to eat on a deserted island... if I were ever forced to make that choice.� I like to pour it over their vegetable biriani (rice and vegetables), top it with mango chutney and eat with the lucsious garlic nann (Indian bread).� I call often enough to order food to-go, that the man answering the phone says "Hello, Michele," as soon as I order the full order of Tandoori chicken. This is where my husband took me for our first date waaaaay back in the '80s.� I was impressed.� An evening at this restaurant is an experience.� Surrounded by the Moroccan architecture - arches, columns and an open courtyard revealing the stars - diners, seated on low cushioned couches and surrounded by colorful pillows, are treated like royalty.� Your hands will be drizzled with orange blossom scented water, the better to eat with - as these are your utensils.� You'll have many different courses brought to you in stages as belly dancers perform.� Moroccan dining isn't just about food; it's an event. We've gone there quite a few times since that date long ago, and my favorite dish is always the b'stilla: a flaky, filo dough crusted pie, dusted with powdered sugar and cinnamon and filled with eggs and chicken.� Savory, yet sweet and nearly melts in my mouth. We go here when we can splurge, as it's quite expensive.� This is a good place to go with a group, considering the amount of food and price. Here's the Dar Maghreb restaurant site, for all the details. 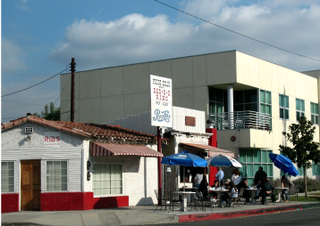 The Original Farmer's Market - on Fairfax and 3rd in the West Hollywood area. Whenever I want to feel like I'm back in Europe, I head over to the Farmer's Market.� The second I walk in to the crowded courtyard, my senses become overwhelmed� with the aroma wafting from an array of different ethnic dishes.� The sights and sounds of all the different people surrounded by the food stands energizes me.� The last time I sat on one of their communal tables to eat my sushi I struck up a conversation with an older man, and a younger woman - all of us strangers until we had lunch together. When I'm tired of cooking and I want someone to mother me with comfort food, I'll go to Du-Pars.� A few weeks ago, after an afternoon of perusing vintage clothing stores with my husband on Magnolia Boulevard in Burbank, we headed over to Du-Pars.� The uniformed waitress chatted to us about her childhood in Pennsylvania and pointed us toward the rhubarb and banana cream pies after we devoured our open-faced hot turkey sandwiches and french-fries with brown gravy. Du-Pars site has all the info and other locations. My husband, a musician, remembers many breakfasts in the '70s spent at Duke's - a rock-n-roll hang, conveniently located next to the Whiskey.� The omelette I had was real tasty, the orange juice fresh squeezed, the coffee was good and the vibe was energetic and eclectic.� And! Keanu Reeves was sitting at the counter with his motorcycle helmet at his feet... for those who care about that sort of thing. Here's Bob's Big Boy's site. And if you're in Woodland Hills, or heading over Topanga Canyon on the way to the beach, why not stop at The Italian Deli?� Family owned since 1969, this little deli - a few doors down from another Woodland Hills favorite, Blinkie's Donuts - has humongous, tasty and nicely priced sub sandwiches with names like The Godfather, Bellybuster, Vito's Vegan - to name a few. Not only can you grab some sandwiches for a picnic on the beach, there are pastas, salads, desserts and an array of other Italian specialty items in their tiny deli & market.� The Italian Deli, unlike all-the-same and boring Subway chain stores - feels like a small town market...because it is. If you're looking for a good Chinese place in the West Valley, I would definitely stop at China Garden.� Everything I've ever had there has been extremely good.� Check out the menu on the China Garden site. In my opinion, soda taste 100% better when it comes from a glass bottle.� When I remember car trips as a kid, I think about stopping at gas stations for cold orange Fanta or Bubble-Up, and chugging from the chilled bottles.� To truly quench my soda thirst, I head over to Galco's where they have aisles of shelves stocked with my childhood favorites and some really obscure sodas as well - all in glass bottles!!! My recent favorite is SunDrop soda - lemony-lime with a bit of pulp floating on the bottom of the green glass with yellow and red lettering. Hey! You can even order soda online. Cuban Food!� Really good and lots of it.� My favorite dish here is the lemon-garlic chicken, with black beans, white rice and plantain.� Yum! I read about this Restaurant in the Daily News. It's a relatively new Cal-Asian fusion restaurant run by a chef that used to work at Chaya in Venice. My husband and I got dressed up for a pre-night on the town dinner at Gorikee and almost didn't enter after seeing the place. It's in dire need of an atmosphere make-over. First, it's in a shopping center. But with some red table cloths, drapery, dimmed lighting and candles I would at least feel like I'm not in a sandwich shop. Anyway, my husband and I decided to ignore the bright lights and horrid atmosphere, and entered. I'm glad we did! The food was great. We started with the lobster and crab pot stickers. They were light and crispy. The lobster and crab, both fresh and flavorful. The sauces that accompanied the pot stickers made me want to lick the plate they were sooooo tasty. My husband ordered the pan braised filet mignon. The tender, juicy filet came with lightly whipped, and exceptionally good mashed potatoes, crisp broccoli and asparagus. I had lobster medallions, moist and buttery, in a white truffle sauce, also with mashed potatoes and bright, crisp asparagus. It was the best meal I've had in a while. The waitress, a perky little German woman, never let us feel ignored, which helped to out-weigh the horror of the glaring bright lights and lack of atmosphere. I'm glad we ignored the decor and entered, but I'm seriously tempted to send them an anonymous note with some decorating tips. It wouldn't take much to fix the problem and the night would have been even more wonderful if we didn't feel like we were sitting in a mini-mall - which we were... but would've liked to pretend that we weren't. Right away I loved the energy that filled the loft-style (cement tables surrounded by large pieces of artwork under beamed ceilings) room.� The loud talk of the crowd bounced off the walls; not great for hearing, but the over-lapping clatter felt like a party.� And, oh, the strong gin and tonics (waaaay more gin than tonic) didn't hurt the party mood either. Between the four of us - who shared bites - I got a good sampling of Hal's dishes, and was impressed.� The Caesar salad had a nice garlicky bite; the calamari, extremely fresh - crisp on the outside, moist inside - and accompanied by a nice creamy and spicy sauce; the onion rings were very good and better than most I've had, and my husband's rib-eye steak in wine sauce was incredibly good...maybe the best thing I tasted of the dinner dishes we ordered. I had the seafood grill (scallops, shrimp, salmon and tuna) which was very good - fresh and perfectly cooked (browned yet moist fish) but not quite as delicious my husband's steak. But the highlight of the meal came at the end and is something I'd never, ever had in my life: The bread pudding. If our friend Marv hadn't recommend it I would never have thought to order bread pudding.� But, oooooh, am I glad we did.� It was moist, sweet, rich and creamy,� topped and infused with fruit (I'm not sure, but I think it was cranberries, apple and pear) with shavings of dark chocolate which blended perfectly with the raspberry in the sauce.� All four of us shared that one decadent plate, and it was more than enough. My husband and I have gone here twice, and both times the dinners were unbelievable... but the view of Laguna Beach - especially at Sunset - makes my knees weak!� The last we dined here, we were seated with a window view of Laguna's main beach just as the sun was setting, so the pink light was bathing me as I sipped an icy, salty-sweet margarita and nibbled on crisp, yet tender calamari.� For dinner, I had a brochette of scallops and shrimp accompanied by (I believe) a creamy tarragon sauce (which made me want to lick the plate).� Here's their site for more info. 22994 Ventura Blvd, Woodland Hills - 818-222-4944. First, the name is a little misleading, in my opinion: The cafe is not on Topanga and the best food there is not the pizza. Actually, I've never had any there; I've heard it's alright, but nothing amazing. My favorite dish at Topanga Cafe is the salmon with ginger-lime sauce; it's nicely browned on the outside, moist and flavorful inside and topped with crisp, golden slivers of onions. They serve this with sauteed asparagus and julienned carrots, which are always bright and never over-cooked. Sometimes I'll order pasta. The penne with scallops, shrimp, mushrooms and asparagus in a cream sauce is very good. the shrimp and scallops are sweet and moist, the penne firm - tossed with crisp asparagus and golden mushrooms in a tasty cream sauce. My husband sticks with his favorite - the roasted half chicken in a cream sauce served with medallions of potatoes. For an appetizer we might get the calamari fritto; it's golden, crisp - not chewy - and served with their tomatoe sauce; the sauce is a nice and simple, but flavorful, tomatoe puree. Other times we'll have the mozzarella marinara: nicely crisp on the outside, without being too greasy; the cheese is creamy without being chewy, and served with their marinara sauce. And almost always we finish our fantastic meal with coffee and a shared slice of their key lime pie - tart yet sweet, creamy lime dreaminess in a buttery, graham cracker crust, atop drizzles of caramel. All these years of dining there, we're still amazed what a great place Topanga Pizza is: Good food, incredibly priced and great service, which is why we tend to go there a lot. The last time we were there our bill came to just $35 dollars and change, after ordering a glass of wine, a soda, calamari, two entrees, two coffees and a key lime pie. Incredible! Not bad for being in a very mini-mall, only a few doors down from an Arthur Murray dance studio. The parking lot is so small, you usually have to park on the street. But their decor isn't bad. You can see the chefs working over flames behind the counter and the walls are warmly painted. It's noisy and casual. Anyway, my suggestion is this - ignore the Topanga Pizza name and try the non-pizza items on the menu and I think you'll be happily surprised. Jonathon Foerstel has an amazing site, Los Angeles Time Machine, where he has photos, information and locations of Los Angeles Metropolitan restaurants, bars, buildings, movie palaces and motels from the 30s, 40s, 50s and 60s, or as he says, "those bastions of a bygone era." March 18th at 10am at the Hollywood Heritage Museum, 2100 N. Highland Ave, Hollywood, he's meeting with a few other people the Southern California Restaurant Historical Society. Some really great speakers will be there, including Filomena D'Amore, whose father owned the Villa Capri with Frank Sinatra (James Dean's favorite restaurant), also Charles Perry, LA Times columnist and Food Historian, Jim Heimann who wrote "Out With the Stars" and "May I take Your Order" (as well as numerous other Taschen books), and Jonathan Foerstel, himself, to talk about his site, Los Angeles Time Machines. If you're into classic LA restaurants, or want to learn about them, Jonathon would love to see you there. Every time I eat at this place I order the same thing, because it's just too good. Again, I had a pastrami on rye with mustard, cole slaw and fries. The sandwich is so huge, my husband and I always have to share it. The slices of pastrami are so incredibly juicy, I almost didn't need to put anything else on the bread. Their coleslaw is great, too. I'm sure most things there are really, really good, but that's all I had. Oh, that and one of the most amazingly sweet-tart, melt-in-my-mouth, light and flaky lemon squares I've ever tasted. Great coffee, too. Brent's isn't really too close to my home, but is absolutely worth the drive. My husband was craving a good steak, so we decided to try this place since I'd heard about it before...or maybe it was the Downtown Pacific Dining Car that's supposed to be good... anyway, while my lobster was very tasty, as was my martini, the steak was just so-so. So-so steak shouldn't cost over thirty dollars, and that's without any a la carte items - just a plain old, not too juicy, and slightly tough steak. Now we know, when in the mood for a really, good, juicy, sizzling steak, we'll head over to the Ruth's Chris in Woodland Hills. Now that's a steak! Ruth's Chris ribeye is amazing. But, hey! We tried something new, and I did have a nicely made martini. Why haven't I heard about this place before?! They've got really good Mexican food, amazing atmosphere, great service and strong margaritas. 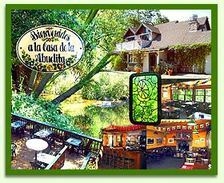 I happened to find this on the internet, though I pass Abuelita's every time I drive over Topanga toward the beach. I went with a big group of friends. We were seated outside on the deck over a creek and under a canopy of leaves. As the sky dimmed and the outside of the cottage style restaurant lit up in Christmas lights, we gorged on tortilla chips and the best guacamole I've had in a long time. I ate each one of my sweet, tasty shrimp wrapped in warm flour tortillas with grilled onions and peppers. We all left satisfied and sleepy. We stopped in for an afternoon breakfast. I don't know what made me do it, but I ordered a stack of banana pancakes. And, damn they were good. I've mentioned this place before in my food index as the food my husband and I bonded over almost 20 years ago, but it's too good to not give it a second mention. We swung by Roscoe's on our way to Amoeba music, and expected to find the normal line out front - but we were able to walk right in and sit down. It was just before 7 p.m. I got my favorite Carol C special (fried chicken breast with one crispy, cinnamony waffle) and a side of smothered potatoes. Yummmm! If I had a mother that cooked like that growing up, I would have been one chubby kid. I mentioned in my previous Roscoe post about meeting "Roscoe" a few times, but now, after all these years, I realize we've been calling Herb Hudson, the owner, Roscoe. Ooops! Last night, a group of our friends met my husband and me for Moroccan food at Dar Maghreb. We've all been wanting to get together there for years. We finally did... and had a blast!! It's the third time my husband and I had eaten there - the first was our first date back in 1987; still, we were blown away by everything: the atmosphere, the music and dancing, and of course - the food. it's absolutely gorgeous. We entered through a large brass, key-hole shaped door into a ceiling-less courtyard of white arches over artistically tiled floors, finding a gurgling fountain under the blackness and stars of the night sky. 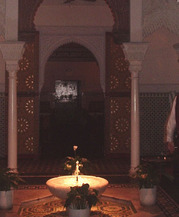 We continued into the dining area where the high painted ceilings were dimly lit by ornate Moroccan lamps and intricately carved wood decorated the doorways. There we sat upon cushioned seating surrounded by ornate pillows and brightly tiled walls. Though I remembered from previous visits the entire experience - seven courses all eaten with fingers, beginning with the waiter drizzling warm water over our hands as we held them over a basin - I had forgotten just how good the food is. After ordering quite a few cocktails (the most popular with my girlfriends and me was their Champagne with Chambord cocktail), we not only wanted to eat, but needed to before we drowned ourselves in alcohol. First came bowls of the best lentil soup I've ever tasted: curried, slightly sweet and smoky, with a strong cilantro flavor. Then a platter of marinated vegetables - pureed eggplant, carrots and tomatoes to be eaten with bread. The eggplant was my favorite of the three vegetables. 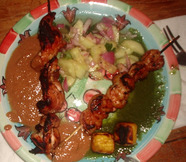 With a sweet taste still on my lips, our next course arrived: the brochettes (skewered meats). Our group chose the shrimp brochettes, and I'm glad we did. They were amazing - sweet, moist, slightly spicy and accompanied by a creamy, tomatoey sauce that reminded me of thousand Island dressing. Next, was our choice of poultry. We chose the chicken with lemons and olives. The chicken was incredibly juicy and tender, falling off the bone, and flavored strongly with the lemons and olives. As full as we were getting, none of us stopped eating this until their was not one bit of meat left; it was too tasty. By the time the cous cous with vegetables arrived, I was too full. Everyone else ate it though, and couldn't stop raving about how good the cous cous was - so I had a bite. It was really good - moist and flavorful, sweetend by the plump raisins. Cous cous can be a little bland, but this dish wasn't at all. After this, a fruit and nut platter arrived, followed by sticky honey and powdered sugar covered pastries and warm, sweet spearmint tea. I only drank the tea, and wow! It was so good and soothing; the perfect end to a wonderful evening. We had our friends, Todd and Francine, over for a barbecue and margaritas Saturday night. After a few rounds of drinks along with the details and photos of their "Married People Gone wild!" Las Vegas weekend, we sat down to eat a huge amount of food: spicy-sweet shrimp with mint dip, chicken sate with peanut sauce and cucumber salad in rice vinegar dressing. The shrimp were sweet with a bite, then cooled with the mint sauce - tasting of Indian and Thai influences. I made so many of these skewers, I never imagined we'd finish them all. But we did. This is one of my new favorite dishes. The shrimp went well with the chicken sate - which were really moist and intensely flavored with the teriyaki-ginger marinade, which were even more flavorful when dipped in peanut sauce. Look at these two...just short of celebrating their 20th wedding anniversary. Who says people don't stay married these days? The following Monday night Fran sent me an e-mail thanking, and flattering, me for the amazing food, for which I can't really take entire credit - other than not mangling the recipes. 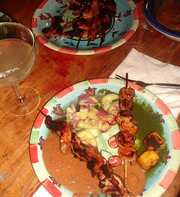 Both the spicy shrimp and chicken sate recipes I found on Epicurious.com. Each of these dishes were great because they could be prepared earlier in the day, and left to marinate, which meant I was able to hang-out with people rather than stay sequestered in the kitchen slaving away. Tuesday night, after perusing a local bookstore, my husband and I decided to head to Fabrocini's for their tiramisu - which we've each fallen in love with (gastronomically speaking). We were seated at the only available table, below one of their wine racks, then teased with the aroma of garlic wafting from the kitchen. Weak under garlic's spell, we decided to get the calamari fritto before dessert. While nibbling on the rosemary flavored bread, I was asked twice by waiters to reach for bottles of wine behind me, "Could you please hand me a bottle of Ruffino?" "And that Portofino...no..up..up...to the right." So expect when seated below a wine rack at Fabrocini's your assistance will likely be needed. For me, it just added to the character of the place, right along with the chefs in their high, white hats working over pans of sizzling food - visible over the open counter. Me: If it were possible to go back in time to save a person, who would've died otherwise, then that "saved" person's existence would effect millions of people - just by walking too slowly in a cross walk this person might cause a driver -waiting for him to pass - to enter into a coffee shop thirty seconds later than he would've if not for the pedestrian...thirty seconds too late to meet the woman he would have married otherwise. Just think, if I hadn't met Jennifer who introduced me to Paul who became my roommate in Orange County, where I moved and found a job at Holiday Spa - then I wouldn't have met Daisy who let me sleep on her boyfriend's couch after I moved out of Orange County- and I would have never have met her sister Norca who became my roommate, then dragged me to that party where I met you...and our daughter wouldn't exist. That doesn't interest you? Well, back to the calamari fritto; though my husband and I couldn't agree on the time travel-fate thing, we both agreed the calamari was the best we've had in a very long time - so fresh it could've come right from the ocean, jumped in the pan and appeared on our table. Not at all chewy, perfectly seasoned, crisp, golden breading coated the calamari, which came with a really tasty, nicely spiced tomato dipping sauce. Delicious! After our fabulous evening snack, we ordered the tiramisu, which is so good I often drive out of my way just to get a few orders as take-out. I've had a lot of tiramisu and Fabrocini's is some of the best - light, with layers of sweet, creamy marscapone, on feathery lady fingers, soaked in liquor and espresso, then dusted and drizzled with chocolate. 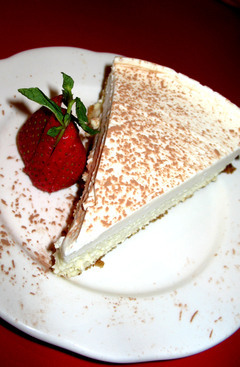 The only other tiramisu this good, I ate in North Beach in San Francisco, years ago. Tuesday night was only the second time we sat down at Fabrocini's - referred by the rave reviews from our friend Doug - and plan on returning to try other dishes on their menu. If the rest of the food is anything like the calamari and tiramisu, we'll be dining well. P.S. We went back last night (Friday), while the calamari was good, but it was chewier than before, though still tasty. This time my husband and I both ordered the shrimp scampi, and really enjoyed it. The shrimp were plump and perfectly cooked until tender, not over done; the garlic-basil sauce poured over the spaghetti and shrimp was real tasty. The darned bread and calamari were so good, my husband was full by the time the scampi arrived - but not too full for tiramisu. Tasty Thai food! Tasty prices, too. My husband and I were craving Thai food Saturday night, but haven't been happy with the last few places we've tried. I checked out the Chowhound message board and read some good reviews for Chao Krung, which is across the street from the C.B.S. Studios on Fairfax. Right away I liked the restaurant's cozy, yet kitschy, Thai theme - the waitresses in colorful silk gowns, the ornamentally carved wood and especially the mural at the back of the restaurant. Diners in white who sat below the painting lit up in purple from the black light that set the mural's moon aglow in neon green. A Disneyesque take on Thailand. Chao Krung doesn't have a full bar, so I ordered a Thai beer and my husband asked for a Thai iced tea. Though I'm not a huge beer lover, the Thai beer was light and refreshing and the Thai iced tea was exceptionally good and creamy. For an appetizer we ordered the beef sate, which was the best I've had in a long time. The meat was juicy, tender and so flavorful I ate some of it without the peanut sauce. Next came our two entrees, Thai barbecue chicken with sweet and sour sauce and pad Thai. The chicken was tender and tasty in the dipping sauce, while the pad thai was a little on the dry side. The noodles could have used more sauce and there weren't enough shrimp - unless my husband took more than his share. The pad thai wasn't bad, but it wasn't the best I've ever had. The other two dishes were good enough that I plan on returning to try the curries and the glass noodle salad someone on the Chowhound message board recommended. We ended the meal with hot tea and a shared slice of moist chocolate cake drizzled in raspberry sauce and topped with berries. It wasn't too sweet or rich and satisfied my craving for chocolate. The meal was nice and amazingly inexpensive. All together we ordered two Thai iced teas, two Thai beers, an appetizer, two entrees, tea and one slice of cake and paid less than fifty dollars. We were happy with our new find and will definitely return. Daglas: Where Every Day is Fry-day! Growing up in San Francisco I never had a chili burger, so when I first moved to L.A., my roommate and I were both surprised to find that so many burger places in L.A. pile chili on their burgers. Whether chili burgers are more popular in Los Angeles than they are in San Francisco, I'm not sure - but I've come to think of chili burgers as an L.A. thing; right up there with waitresses who're actresses and everyone and their mechanic writing a screenplay. While I've yet to become a chili burger girl, I am definitely a chili cheese fries fiend... and I believe I've just found my chili cheese fry nirvana. My daughter turned me on to Daglas Burgers, 20036 Vanowen St. Canoga Park (near Winnetka Bl.) Knowing that I'm a sucker for a good corn dog, she told me I have to go to Daglas - a place I've passed by for years. The Daglas sign and exterior, growing dingy over the decades, never called out to me. But, now that I think of it, I've notice there usually are a lot of people inside where the tables and arcade games are, and waiting in line. Silly me! Lines of people usually mean... good food - of course. With my daughter's good review in mind, I ordered a corn dog and chili cheese fries for me, and a chili burger for my husband. While ordering, I watched the cooks hustling over sizzling grills - that's when I eyed a huge pan full of peeled, fresh potato wedges. They make them fresh there! Not frozen. The Daglas motto is: Where every day is Fry day! After eating their fries, I'd like to bow down to them and say... yes! Daglas, you've made the best darned chili cheese fries I believe I've ever had. The fries were fresh, sprinkled with seasonings and salt, then topped with really good thick, beef chili. And my daughter was right, Daglas does make a good corn dog - a juicy dog wrapped in lots of corny-sweet batter, fried golden crisp. My husband, a man of few adjectives, said he liked the chili burger more than any he's had in a while, including our local Tommy's. My husband and I decided to grab a bite to eat in Westwood, while we were in the area. After walking around and becoming ravenous, we decided to go into Damon & Pythias since there were a lot of people there - usually a good sign. I almost wanted to look for something else after glimpsing the cafeteria style atmosphere - orders are taken over the counter and brought to tables. But after seeing the menu - updated versions of comfort food - we decided to stay. I was told the L.A. Cheese-steak is popular, so decided to try that, with some onion rings, while my husband went for a half-rack of Tropical Mojito Ribs. We got the best table in the place: outside, closest to the sidewalk with a great view of the Fox Theater just down the street - where the premiere for the movie "Robots" was taking place. I would've been happy to sit a while and people watch, but our food came so soon I barely had a chance... not that I'm complaining. The entire meal with two drinks came to $24.00 and change - a great deal, especially considering the quality and amount of the food, as well as the speed in which it arrived. As I snapped this photo of the "Robots" premiere, I accidentally captured Dennis Woodruff in his painted car, to the right of the photo. Walking around Westwood we spotted numerous empty storefronts with "For Lease" signs in their windows, which is hard to understand when the quaint village is so close to U.C.L.A. and still has those great movie theaters - where, unlike the huge cineplexes, crowds actuallly line the streets on weekend evenings to buy tickets. The movie goers aside, the sidewalks aren't crowded the way they were back in the '80s when Westwood sidewalks were filled with nightlife. Over the years, many neigbhorhoods in Los Angeles tend to come and go in popularity, so I'm hoping Westwood has another chance to come alive once again. Here it is - January, just days after the weeks of rain finally stopped, and the weather's warm enough to barbecue. Sunday, we headed over to Jim's Market on Fallbrook Ave. in Woodland Hills, because I'd always heard they have really great meat. I don't eat steak that often, so I'd never made the effort to go over to Jim's - but I'm glad we finally did. The two rib-eyes we bought turned out to be better than any I'd had before. Both were nicely marbled throughout and barbecued to sizzling, juicy perfection. Ooh..they were so tender. Along with the steaks, we made mushrooms and grilled artichokes. I sauteed mushrooms with shallots and a bit of madeira. The artichokes, I parboiled until the stems were tender enough for a fork to slide through. Once out of the boiling water, I sliced them in half, drizzled olive oil and sprinkled them with some creole seasoning and put on the grill until some of the outer leaves became slightly blackened. I made a dip of mayonnaise and the same creole seasoning. Delicious... If I do say so myself. We felt like we had a meal as good as any restaurant we'd been to, except for the sink full of dishes, of course.